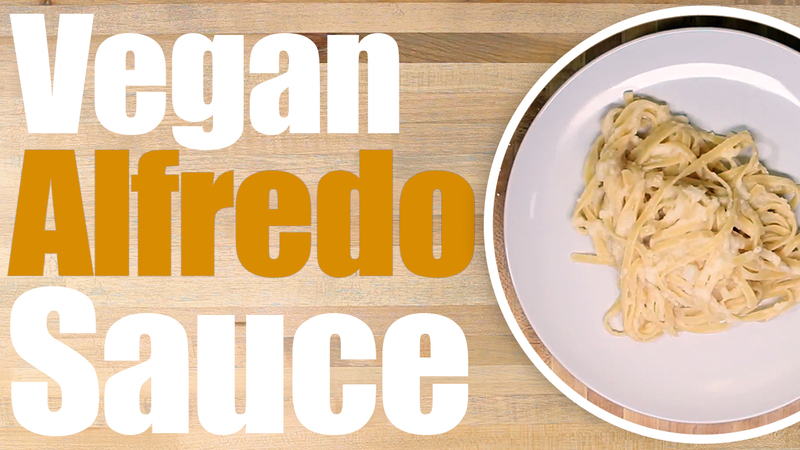 We decided to make a Vegan Alfredo Sauce recipe with fettuccine! This quick and easy recipe is sooo good! There are a lot of variations on this one but we went simple and good! You can add some vegan cheese to this or even use a Nutritional Yeast if you want to add more cheese flavor! Chop Cauliflower, Onion, and Garlic. Add Olive Oil to skillet set to medium high heat. Add Onion and let simmer for 3 Minutes to soften. Add Garlic and simmer for 1 minute and Cauliflower and veggie stock. Stir everything and cover. Let steam together for 5 minutes. Add Soy Sauce and remove from heat. Let cool then blend. Squeeze in fresh lemon salt and pepper to taste and enjoy! Add Nutritional Yeast or Vegan Cheese to make it more cheesy like!